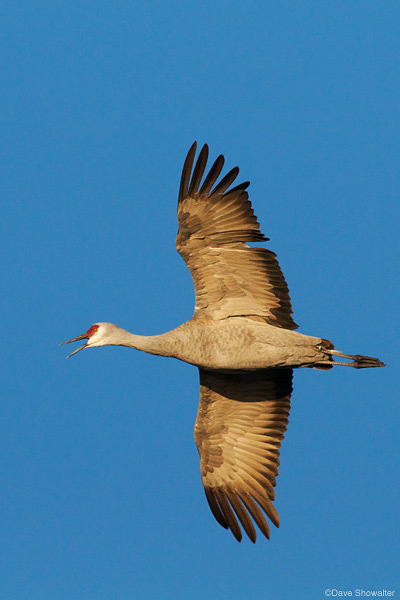 A Greater sandhill crane banks in mid-flight near Monte Vista National Wildlife Refuge. Roughly 27,000 of the 80,000 bird population pass through the San Luis Valley on their migration path in March. Grus canadensis. Photo © copyright by Dave Showalter.